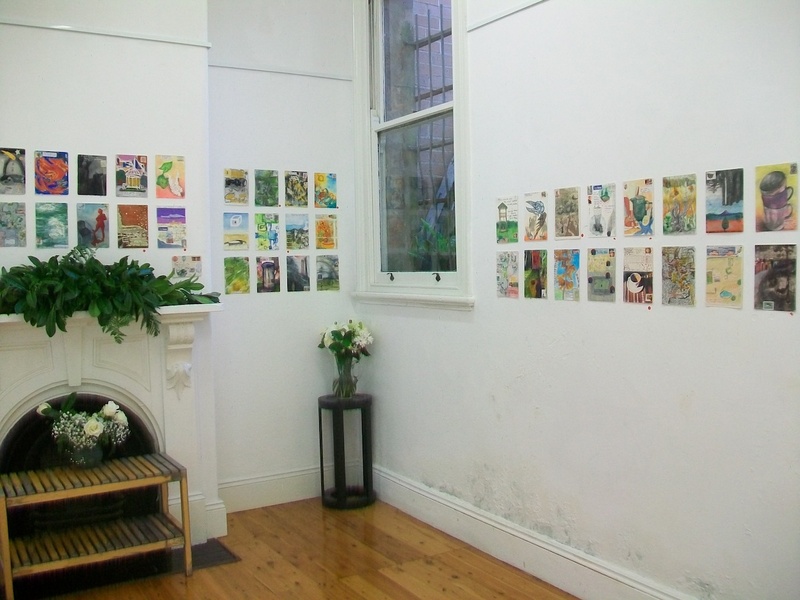 ‘Return to Sender’ is an exhibition that celebrates six years of extraordinary postcards, each of which was made by a pair of artists who worked in collaboration. It was held at The Shop Gallery at 112 Glebe Point Rd, Glebe, Australia. 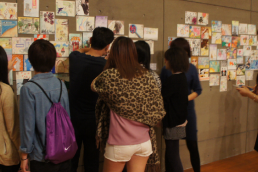 Between 2010 and 2016, postcards were exchanged between Hong Kong, Macao, Australia, Thailand, Japan, Taiwan, Laos, India, USA, Sweden and Norway. The participating artists were Carol Archer, Suzanne Bellamy, Anna Couani, Loene Furler, Kit Kelen, Sue Rawlinson, Virginia Shepherd, and Laura Wellington. 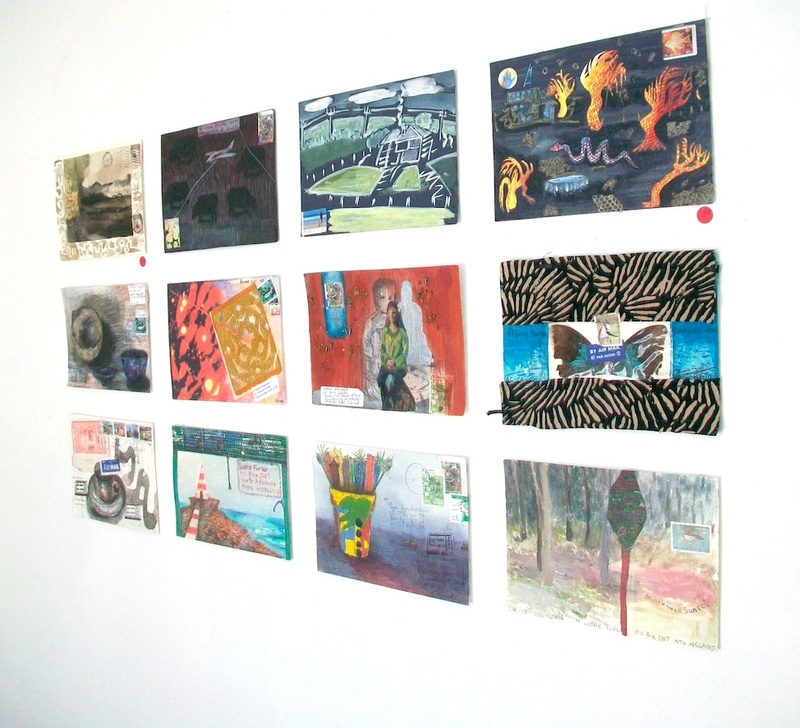 The postcards in ‘Return to Sender’ are all 21 by 15cm in size, and include stamps, postmarks, and wear and tear. 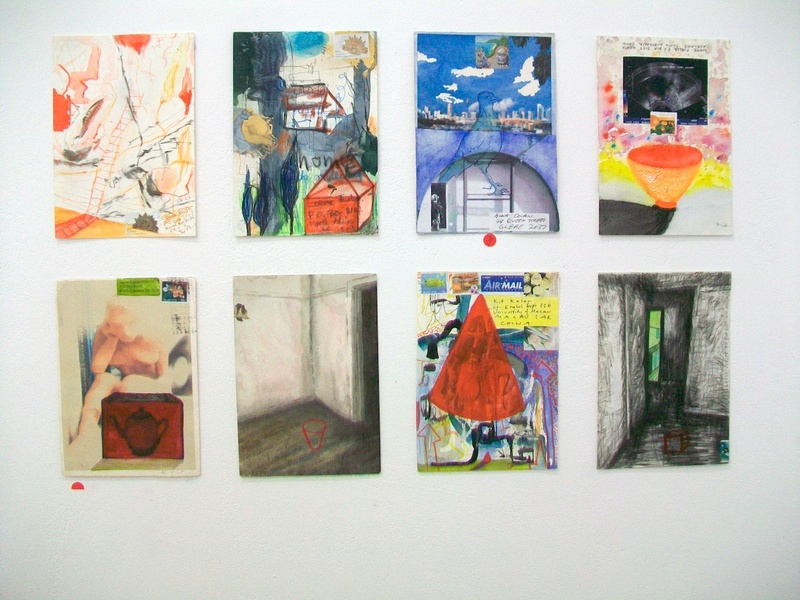 Return to Sender spans six years of collaborative art practice and three related projects – ‘Macao-Elsewhere’ (2010-2011), ‘Elsewhere: Home’ (2012-2014) and ‘Somewhere’ (2015-2016). 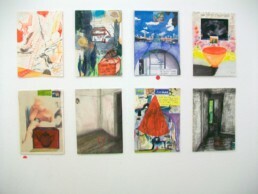 In the first two of the projects’ three phases, the process worked like this. 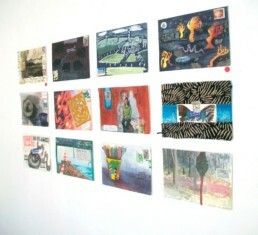 One artist started a postcard, and without adding any verbal instructions or commentary, mailed it to another. 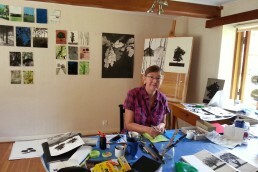 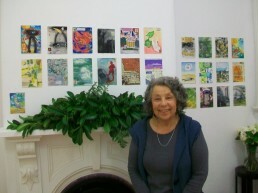 The second artist found the postcard in her mailbox, completed the artwork, and returned it to the sender. 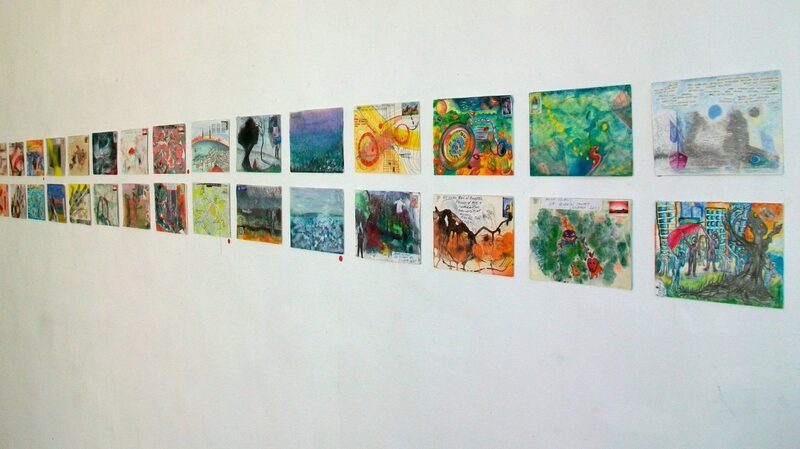 Each collaborative postcard is thus a small work of art that neither of its makers could have predicted. 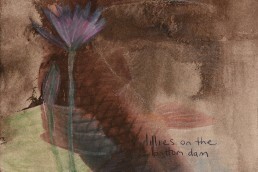 The most recent project was governed by a slightly different logic: the initiating artist could nominate a theme by writing several words on the back of the started card. 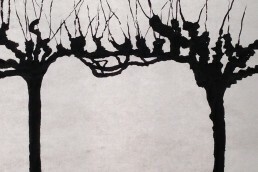 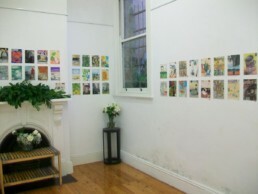 The subject matter is diverse and a wide range of techniques has been used (drawing, painting, collage and photographic printing), but the collaborative postcards in ‘Return to Sender’ have this in common: they are shared meditations on notions of place, home, and creative community. 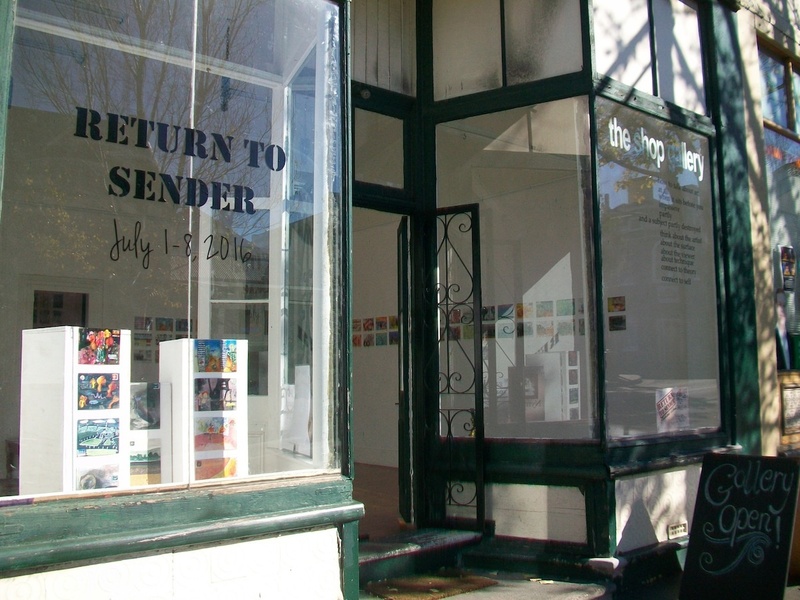 Return to Sender, The Shop Gallery, Glebe, Australia. 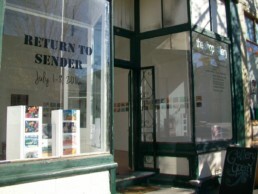 Installation, Return to Sender exhibition. 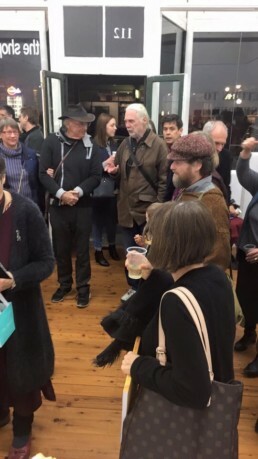 Return to Sender opening event.